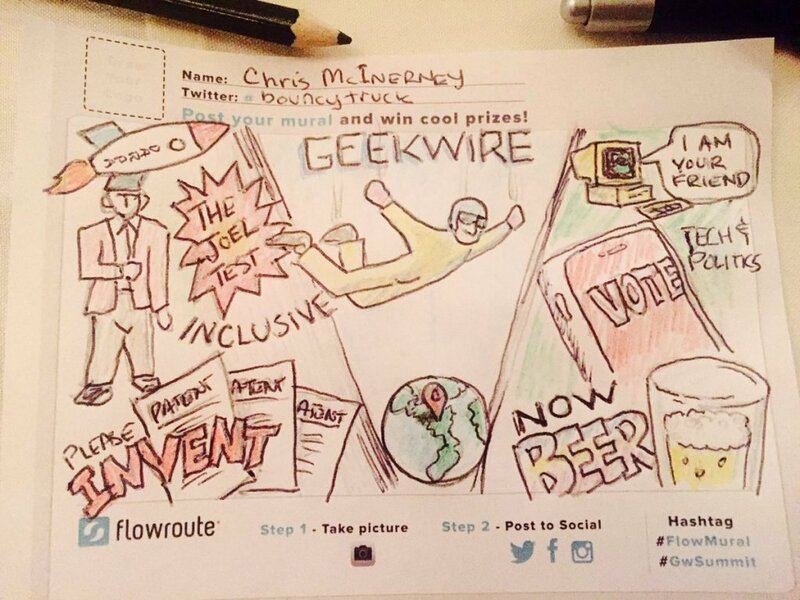 The Flowroute Team had a blast at GeekWire Summit last week, an event that attracted over 800 of Seattle’s top innovators, entrepreneurs and technology leaders to the Seattle Sheraton. Our team had a great time talking to other startups in the Seattle community about the innovative ways they are solving problems with technology and the role that calling and messaging is playing in those solutions. It was awesome to see so many companies turning to Communications APIs to create cross-platform user experiences in their services and applications. At the event, we had the opportunity to listen to presentations, Q&A’s and panels from some of today’s leaders in innovation. Jeff Jordan, a partner at Andreesen Horowitz, discussed the skills needed to succeed for today’s entrepreneurs, “Most important in entrepreneurs are perseverance, courage and ability to tell a story” he told the audience. As an investor in both OfferUp and Airbnb, Jordan champions the “Network Effect” as a key element in marketplaces gaining momentum and creating value for both users and investors. Retired NFL player Ricardo Lockette took the stage to answer questions about perseverance and his commitment to helping others. Lockette credits grit, which he defines as a “passion or purpose that is greater than the work it will take you to get there”, as the driving force in his success from an early age. After his life threatening and career ending injury last season he has refocused his work on helping others through the Seattle Science Foundation, Seattle’s Union Gospel Mission and the recently launched Ricardo Lockette Foundation. Seattle got a shout out from Nathan Myhrvold, CEO of Intellectual Ventures, for local work towards global health and development. He made the comparison that “Seattle is absolutely the Silicon Valley of saving the world”. While global development can frequently get lost among the flash and excitement surrounding the technology being produced, none of those innovations are a necessity to survival. What is a necessity is the work organizations in our city are doing to improve the lives of the 2 billion people who are living on less than $2 a day around the world. There were demos galore at the event this year! From a rocket launch to wifi connected cooking devices, this was the event to see the future of technology in action. ChefSteps is a high-tech cooking gadget that allows users cook anything to perfection through their app, which is connected via wifi to the gadget. The product enables a cooking style known as “sous-vide”, cooking food in water that is only slightly heated for an extended period of time to eliminate the risk of over cooking, which until recently was only an option for professional chefs. While the demo did not produce enough food for the entire audience, the gadget is the perfect solution for your in home cooking needs. Seattle is a community that values the ability to bike, regardless of weather. The Coros, or smart helmet, is enabling bikers to listen to music on the road without compromising on safety. By avoiding the eardrum and instead using bone-conduction technology, users are fed sounds directly into their audio cavity. The helmet also has a precision microphone to make two-way communication possible through the device. We can’t wait to see Seattle bikers rocking out on their way to work with this new wearable technology. 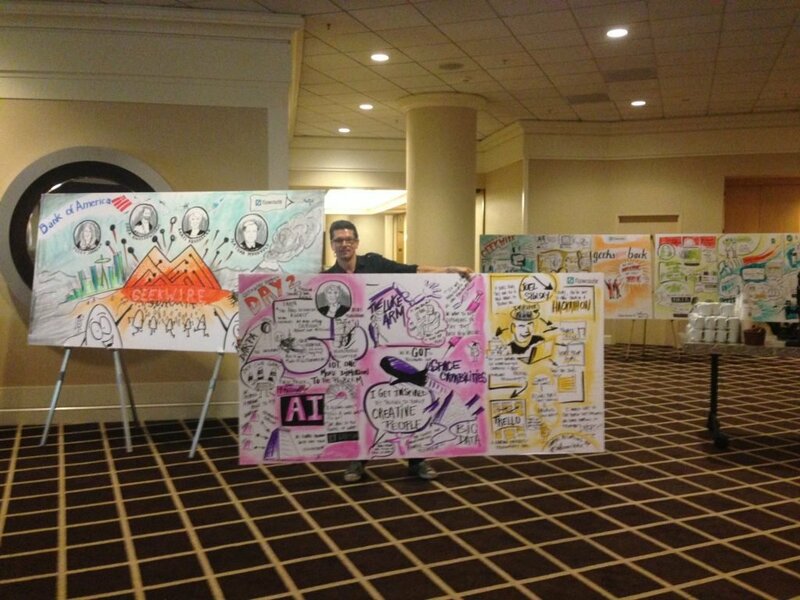 To capture the ideas and innovation happening at the event Flowroute sponsored a muralist to catch the themes, ideas, and creativity on paper. Check out a few of the final pieces below. 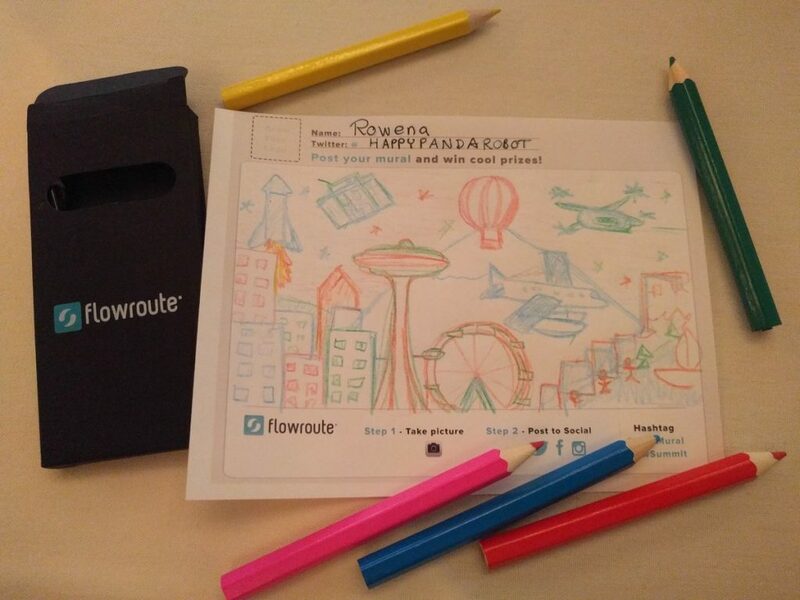 Thanks to all the attendees who tweeted their doodles. 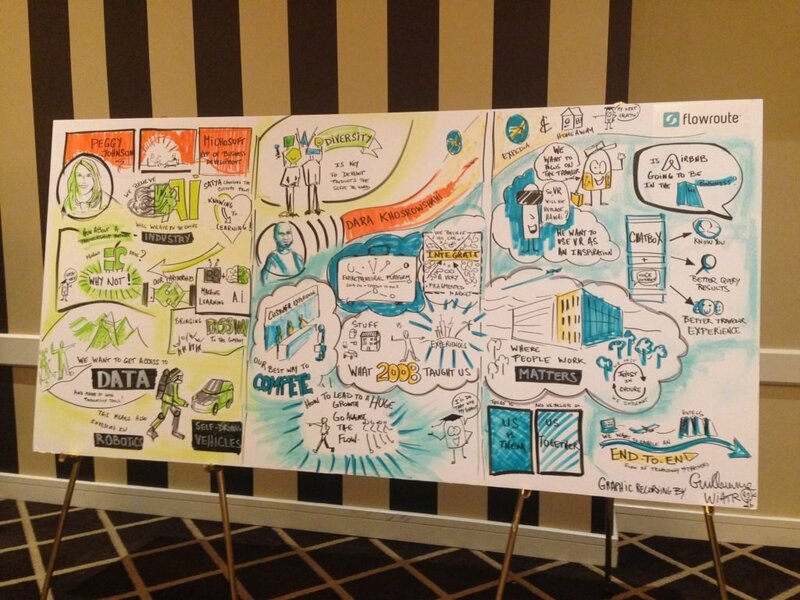 See you next year at GeekWire Summit 2017!